Cold and flu season is right around the corner. These annual illnesses are often paired with another highly contagious infection, strep throat. 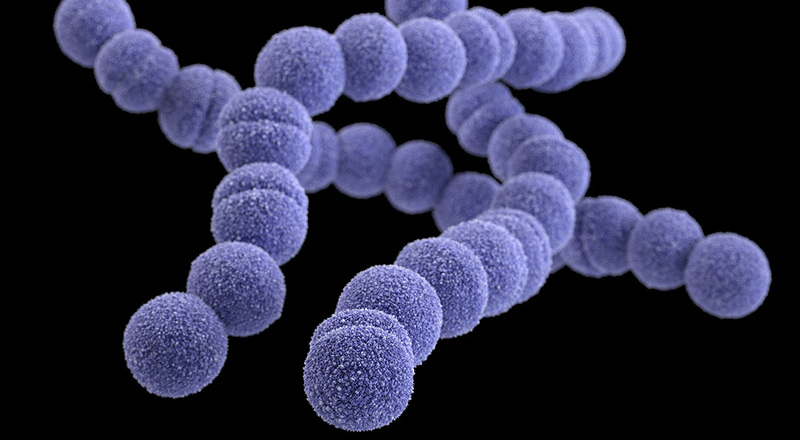 Its culprit, Group A Streptococcus, can cause a variety of other illnesses including invasive diseases such as cellulitis with blood infection, pneumonia and necrotizing fasciitis7. Group A Streptococcus, often referred to as group A strep or GAS, is a type of bacterium commonly found in the throat, nose and on skin that can cause a variety of infections5,6. Group A strep infections can occur at any time, but some infections are more common seasonally in the United States. For example, strep throat and scarlet fever are more common in winter and spring, and impetigo is more common in summer7. Note: if you are diagnosed with a group A strep infection, stay home until you have taken antibiotics for at least 24 hours to avoid spreading the infection to others7. Group A strep can cause a variety of illnesses, some deadly, which makes rapid clinical testing vital. According to the Centers for Disease Control and Prevention (CDC)2, an untreated group A strep infection can result in complications including abscesses, secondary sinus or ear infections, and rheumatic fever. In addition, properly diagnosing the source of potential group A strep infection can eliminate unnecessary or inappropriate antibiotic use. In the instance of a suspected sore throat caused by a group A strep infection1, a rapid antigen detection test is performed, and negative results are confirmed with a throat culture. While commonly ordered and easy to perform, culture tests can take precious time to confirm or deny a diagnosis. Molecular diagnostic technologies can provide laboratories with fast results that are specific and sensitive to genes produced by group A strep. With test results in under an hour that do not need culture confirmation, patients can leave the clinic with appropriate treatment the same day. Cepheid Xpert® Xpress Strep A assay detects group A strep and can provide positive results in as little as 18 minutes from the start of the test3. DiaSorin Molecular’s Simplexa® Group A Strep Direct Kit offers laboratories an assay which showed4 greater than 97% sensitivity when compared to the corresponding sample cultures.